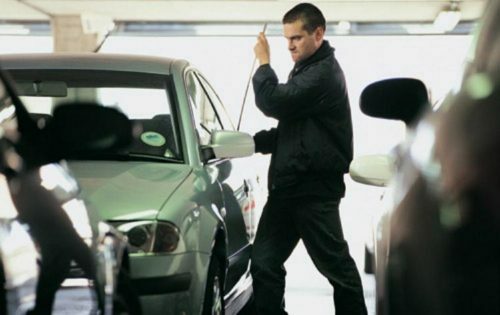 While auto theft continues to decline in the United States, extending the streak of falling levels for seven years straight, portions of the west coast saw increases in this criminal activity, and all of the top ten hotspots for car theft are in California or Washington state. According to the Federal Bureau of Investigation (FBI) preliminary 2010 crime statistics, there was a 7.2 percent decline in auto theft across the nation. If these numbers are confirmed in the final crime statistics, scheduled to publish this fall, it will mean auto theft is at its lowest point in the U.S. since 1967. The top five hot spots for 2010 bucked the trend of decline, and actually posted an increase in thefts over the previous year. The bottom five areas on the top 10 list saw fewer thefts, however. The National Insurance Crime Bureau (NICB), a not-for-profit organization funded by more than 1,100 property and casualty insurance companies and companies that are self-insured, is offering an interactive online tool that allows users to see the top ten MSAs for auto theft in each state. “While improved anti-theft technology and law enforcement efforts have had a significant impact on thefts, professional criminal rings and gangs are active in parts of the country and stopping them is the ongoing challenge,” said NICB CEO and President Joe Wehrle.